Mataram, Indonesia: A French drug suspect on the run since escaping from an Indonesian jail nearly two weeks ago has been recaptured, police said on Saturday. 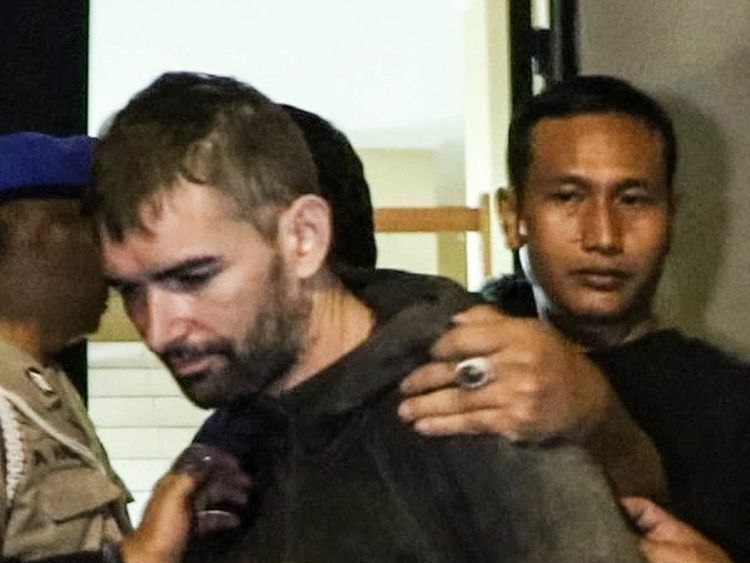 Felix Dorfin - who faces the death penalty if convicted - was found hiding in a forest in North Lombok on Friday night, police said, and was returned to jail in Mataram, capital of the island. Wearing dishevelled black clothes and looking tired, Dorfin initially tried to bribe officers to let him go. "He didn't resist arrest, but wanted to bribe our officers," North Lombok police chief Herman Suriyono said Saturday, adding he was found following a tip-off from locals in the area. After being checked by medical teams he was returned to jail. The 35-year-old Frenchman was arrested in September allegedly carrying a false-bottomed suitcase filled with four kilogrammes (8.8 pounds) of drugs - including cocaine, ecstasy and amphetamines - at the airport on the holiday island next to Bali. On Friday officials said a female police officer had been arrested for allegedly helping Dorfin escape in exchange for Rp 14.5 million (around $1,000). Jailbreaks are common in Indonesia, where corruption is endemic at all levels of society and inmates often held in squalid and poorly guarded prisons. In 2017, four foreign inmates tunnelled their way out of Bali's Kerobokan prison. Two of them were captured a few days later, but an Australian and Malaysian are still at large.